There has been an unceasing campaign to denigrate the construction in the Sochi-Adler area. Incompetence, corruption, double toilets and so on and on. In all of this, few people have been shown what has been built for the total cost of 55 billion or so US Dollars. We have a preview; but first a discussion of cost. Most Western sources claim that the real cost of the Sochi Olympics is the 55 billion and Putin is assumed to be lying when he says the cost is 6 billion or so. Now that Navalniy has his report out that claims to measure the alleged corruption, the Western media is full of wide-eyed quotations from it. But Western discussions, and Navalniy (not, I suspect, by coincidence) ignore the other stated purpose of the construction which is to create a full-scale sports and holiday complex in Russia’s Riviera. The aim being to attract Russian tourists away from foreign holidays and provide some development and employment opportunities in the chronically depressed North Caucasus. So what is the real cost of the Olympics? 1) All of the 55 billion or 2) just the proportion that would not have been spent if the Olympics weren’t coming or 3) something in-between? The first question to be answered is how much of the total is definitely Olympics-only spending. Here Navalniy actually agrees with Putin: from his report “Olympstroy spent $6.3 bn to construct 11 sport venues”; that is the number Putin gives. The disagreement is over what column to put the other expenditures in. Navalniy insists they all be charged to the Olympics, Putin that they be charged to resort complex construction and necessary infrastructure improvement. That’s what the disagreement actually amounts to, not that anyone in the Western media will tell you: Putin says some is Olympics, most is infrastructure, Navalniy says all is Olympics. But they agree on the total that has been spent. Putin wants to play the Olympics costs down, Navalniy wants to play them up; so each picks his favourite split. Each is being disingenuous. Certainly an immense amount of money has been spent on sports facilities, visitor amusements, transportation facilities, hotels, restaurants and the rest. So, Dear Reader, you decide the split. 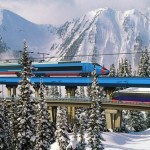 How do you judge the most expensive single project (the 5-6 billion road-rail connection to the ski resort, replacing the Soviet-era link)? Would it have been built anyway to connect the town of Adler (where, as we have interminably been told, it doesn’t snow much) to the ski resort area where it does? Or do you judge that it was only built because of the Olympics? Or should only some of the cost be assigned to the Olympics and how would you assign it? How about the airport at Adler? The port development at Sochi? The isolation hospital in Lazerevskiy district? The Adler power station? The shopping mall? Putin says none, Navalniy says all but they don’t disagree that 50-plus billion was spent overall. And, when you make your decision, what makes you think the next person would agree? The only correct answer is that, when the Olympics are gone, there will still be a vast complex of modern facilities in a place and situation that ought to be pretty attractive to tourists. The truth is that a large high quality resort complex has been constructed, together with a great deal of infrastructure created or improved; some of this was built only because the Olympics were coming. 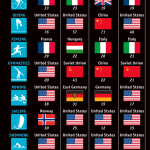 So what is the cost of the Olympics? I don’t know either. 6 billion seems too narrow a definition but 55 billion is far too high. Can we pick a number out of the sky and say 7 or 8? Certainly a ludicrous amount of money to shell out for a few weeks of sports; probably an argument for having a permanent facility but, given that there wasn’t much there in the beginning except Nature, not absurdly high as these things are priced. These panoramic photos show what has been done. And don’t forget, Dear Reader, Navalniy and others would like us to believe that a third of the money was stolen: look at all this stuff and decide whether that sounds right. Russian language only, but you’ll get the idea. PS. The toilet story isn’t true.